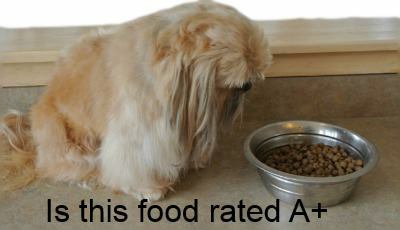 Dog food rating is a topic of interest to most health conscious small dog owners. 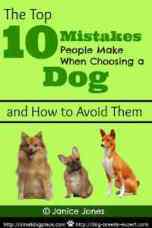 Unless you provide an entirely homemade diet, you will most likely be purchasing a commercially prepared dog food for your small dog. Knowing how to choose one brand over another is important if you want the best for your pet. Evaluating dog food based on a variety of criteria can be a difficult task when you are trying to determine what food to feed your small dog. Are you wondering how your dog food brand rates based on others available online and in the stores? Everyone who owns a dog wants to know that they are providing an adequate diet, but what exactly constitutes “adequate” in today’s marketplace? Choosing the best dog food for your pet may seem like a daunting undertaking but it doesn’t have to be impossible if you have the right tools at your disposal. The rating scale which is listed below was developed by Sarah Irick as a way to evaluate dog foods based on specific ingredients. Sarah was a Great Dane owner and rescue worker who wanted to provide the best diet for her dogs. She needed a way to evaluate different dog food brands and developed this scale based on her own research. Coming from the field of engineering rather than veterinary science, this scale is not an exact science, but a useful tool for comparing one food over another. If you plan to assess your own food, you can use this dog food ratings questionnaire. You will need the dog food package that includes the ingredients list and other information found on the food label. If you have never read a dog food label, check out our introductory article on reading dog food labels. To do your own dog food ratings, begin with 100 points and then subtract or add based on the criteria below. Your dog food may have already been evaluated. Click on the Best Dog Food link below to see if your dog food is listed and it rates based on other brands. List of Many Popular Dog Foods that have already been rated. The best foods available for your dog. By feeding these foods, you know that you are providing excellent nutrition for your dog. A good choice and highly acceptable. The foods in this category may be slightly less expensive than those rated A or A+ but still offer a good quality diet for your dog. These foods are average, not too bad, not too good, but they are acceptable. Consider a higher quality food source when the budget allows you to do so. These foods are less than average and are not providing the best food for your pet. Consider change your dog’s diet or supplementing as needed to give a higher quality diet. This list includes foods that do not provide the essential nutrients your dog needs for optimal health. If you are using one of these foods, run, don’t walk to the nearest store and choose another brand of food that improves your dog’s health. 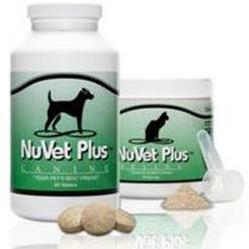 Is your dog in optimal health with not health related issues present? If your dog is doing fine on the food he/she is currently using, there may be no reason to switch brands at this time. Check the brand of food you are considering: Have there been any recent recalls? Is the dog food you are considering readily available either online or at a local pet store? Is the dog food you are considering affordable and well within your budget? Is the dog food you are considering palatable to your dog? Picky eaters may not like all brands of foods. If you are making a change, purchase only a small amount and try it out before investing in larger quantities. A high quality food that your dog will not eat is not an economically or nutritionally advisable alternative to your current food.